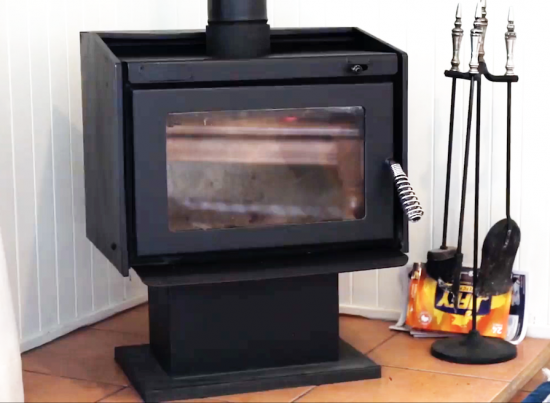 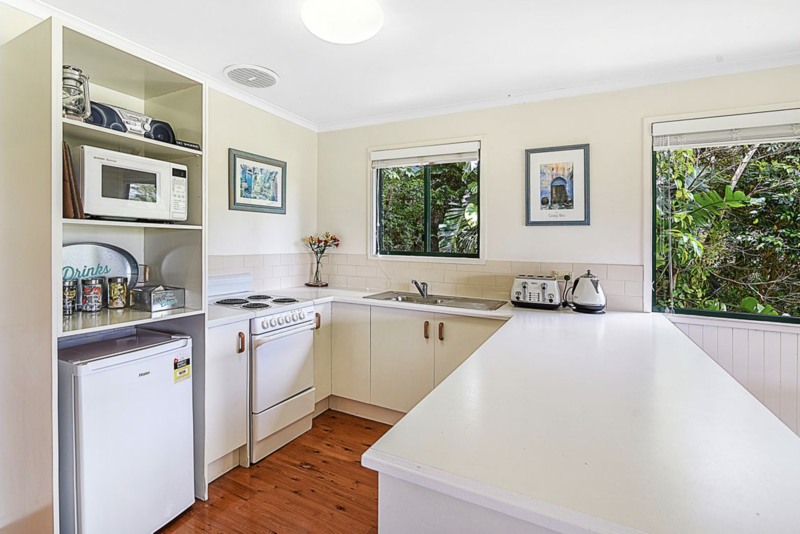 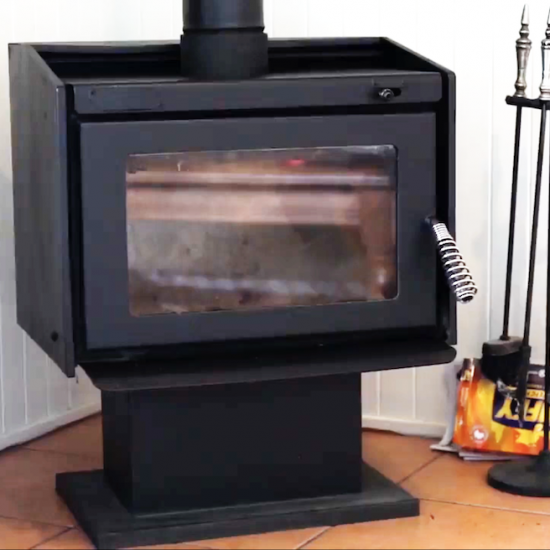 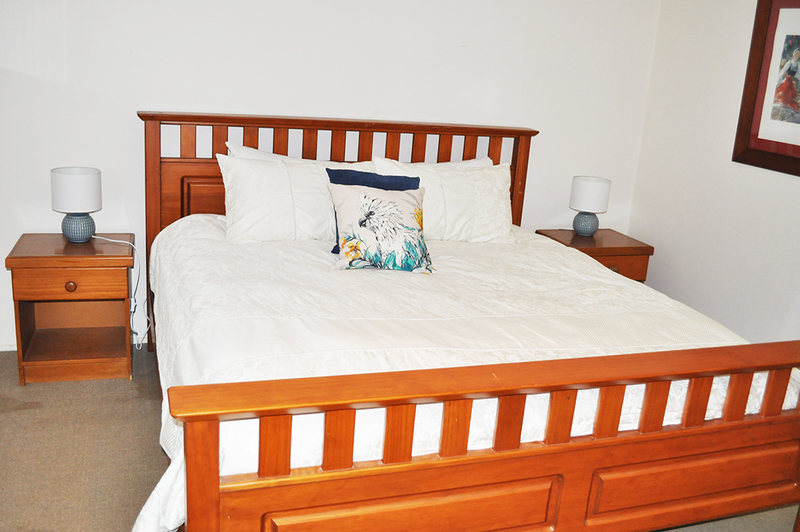 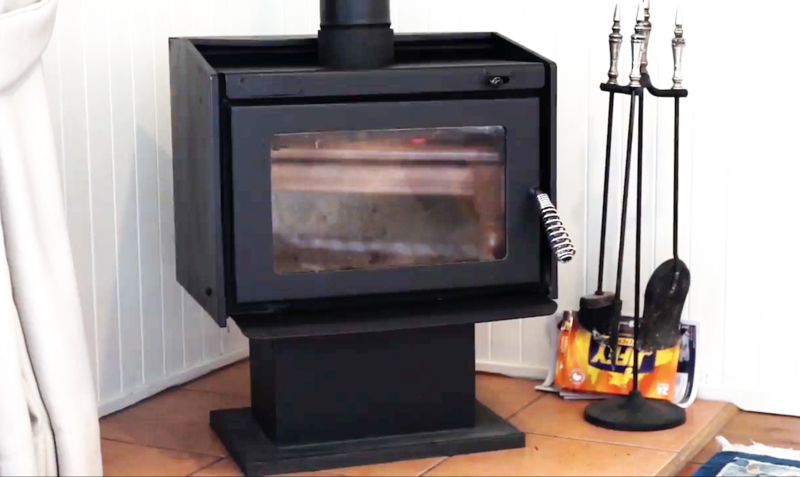 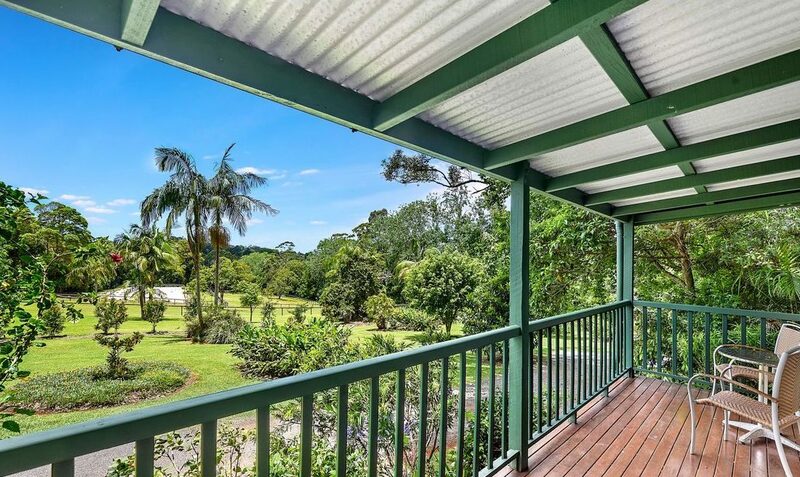 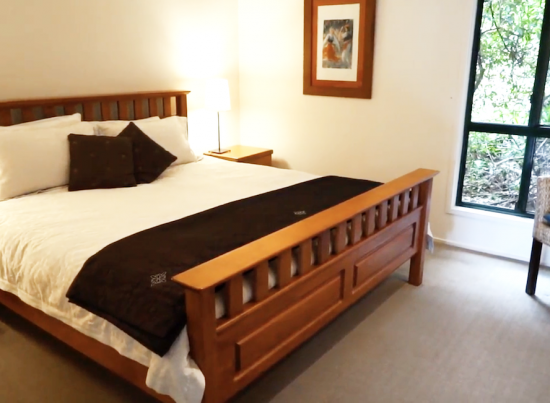 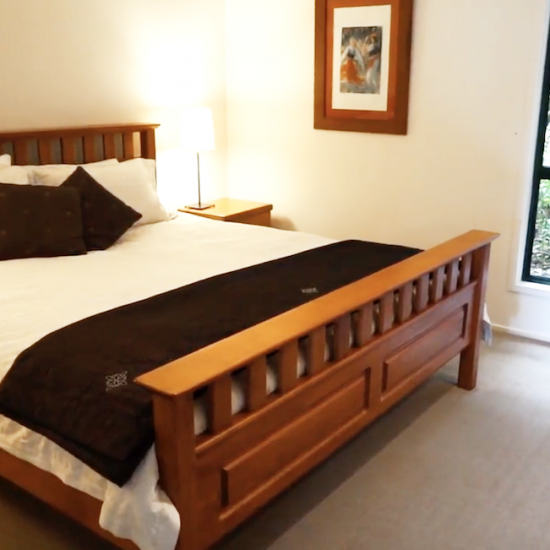 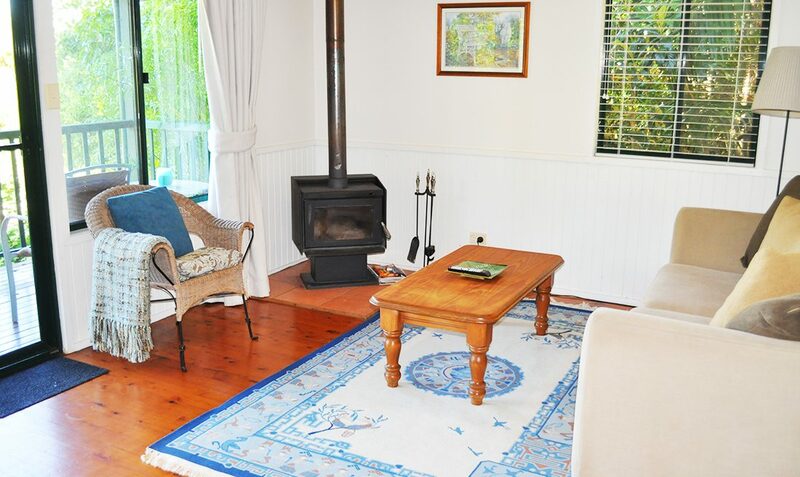 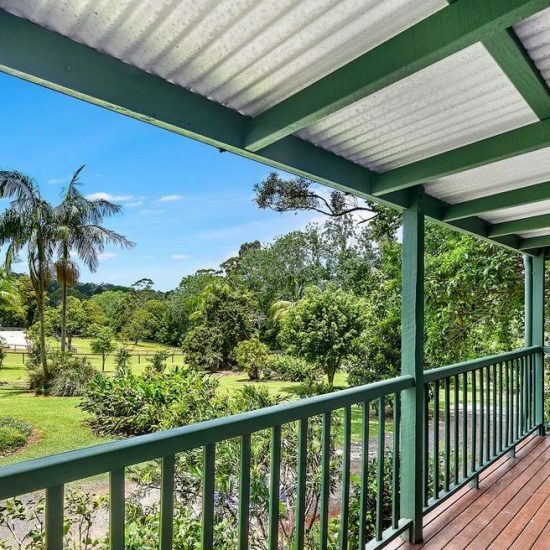 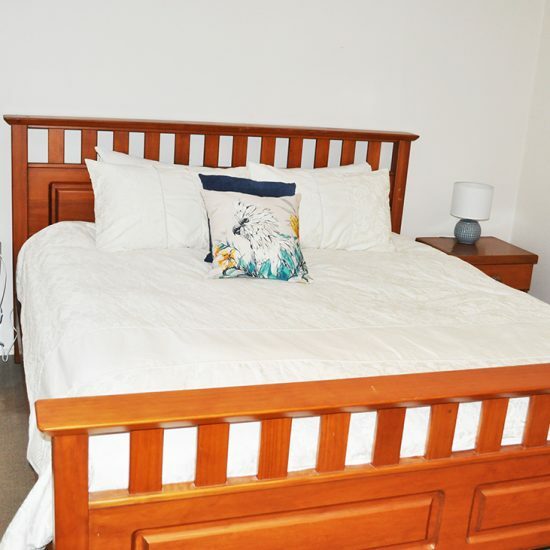 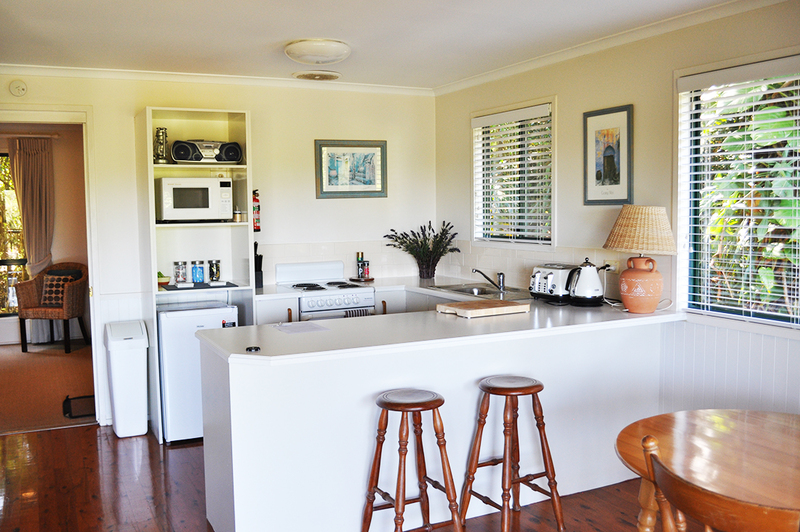 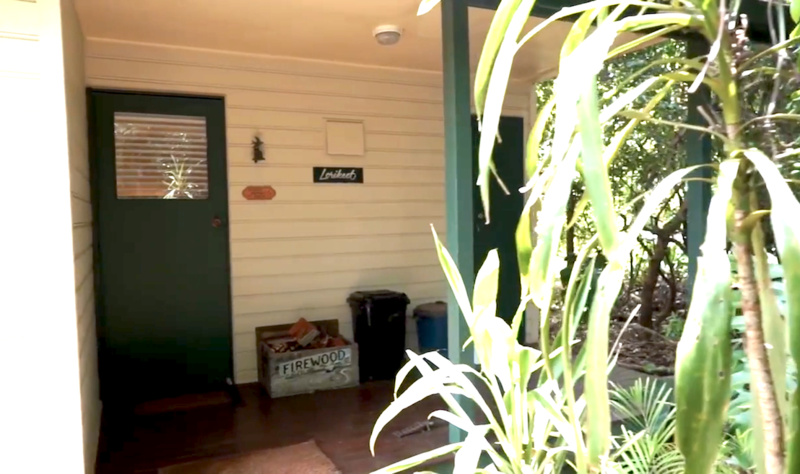 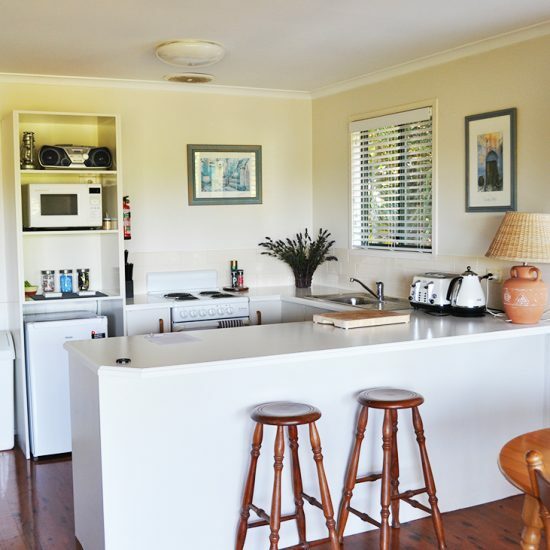 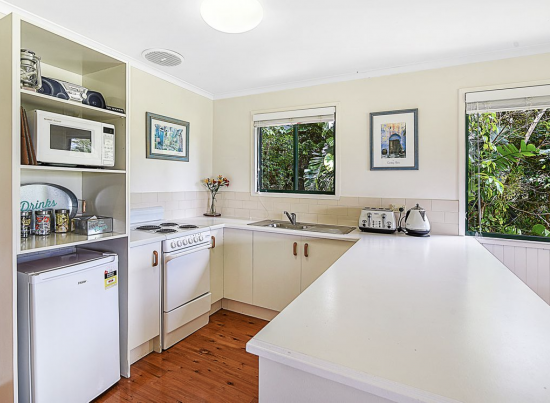 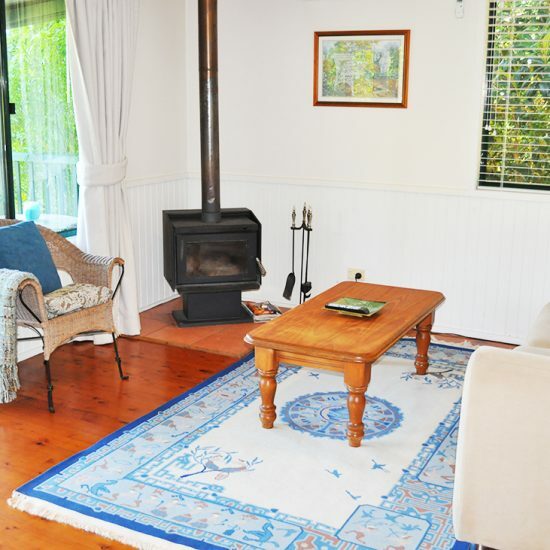 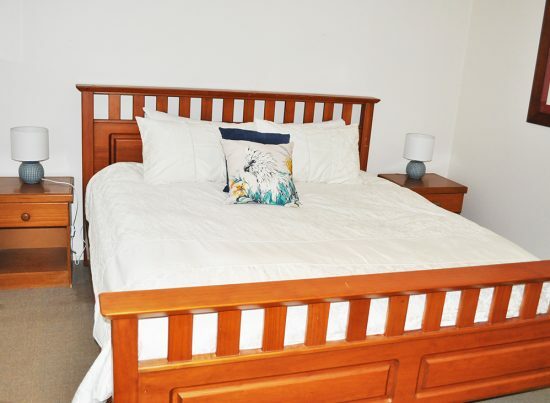 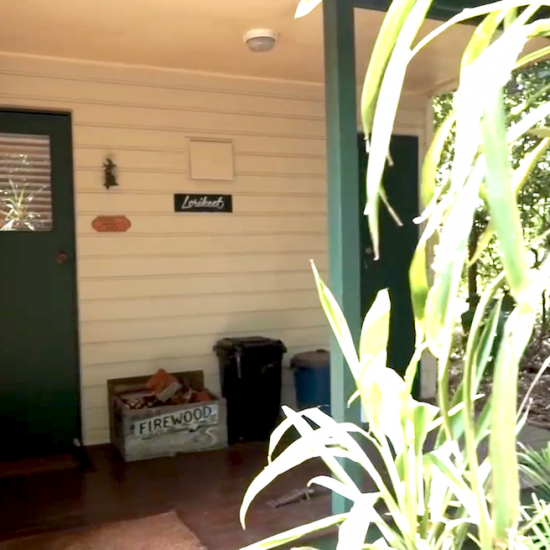 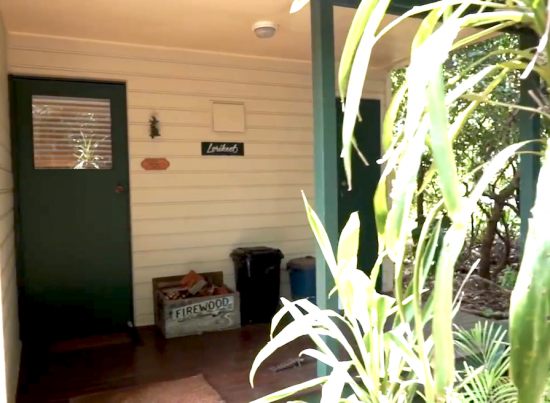 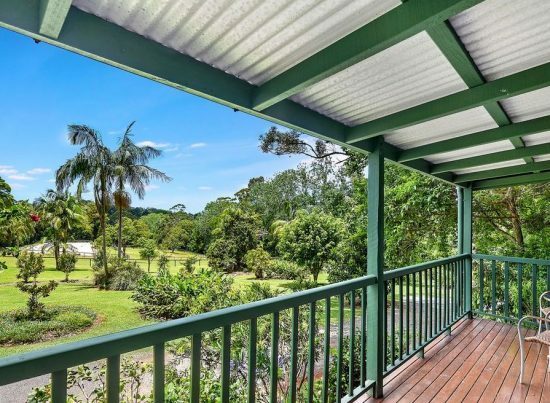 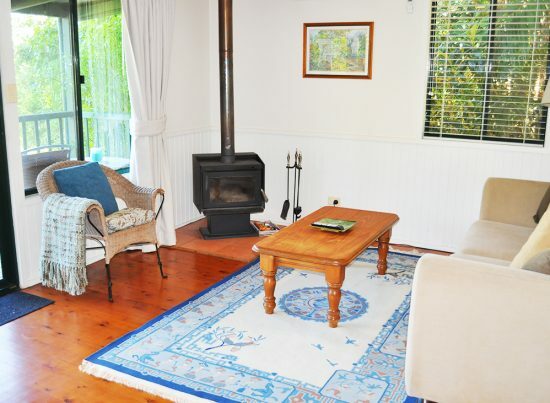 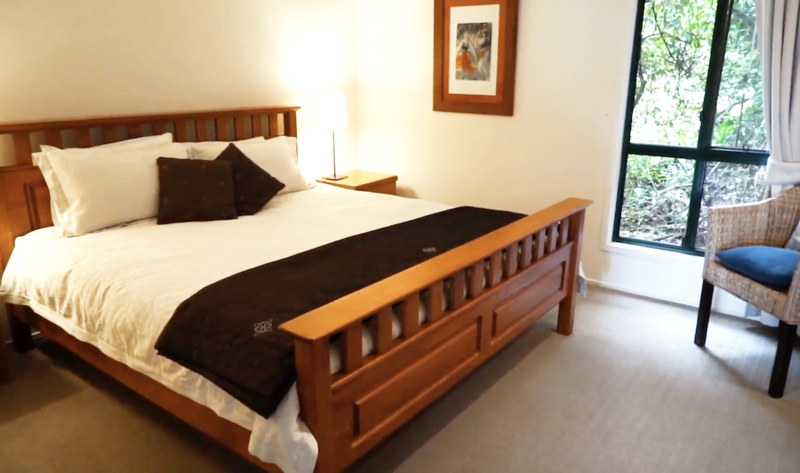 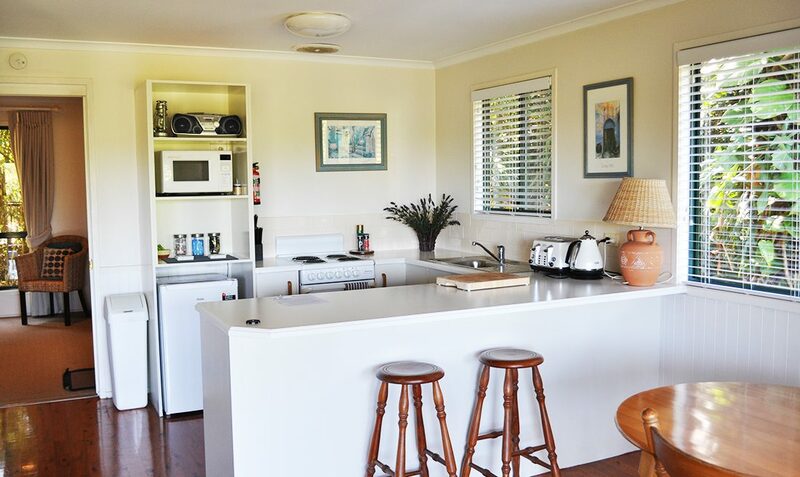 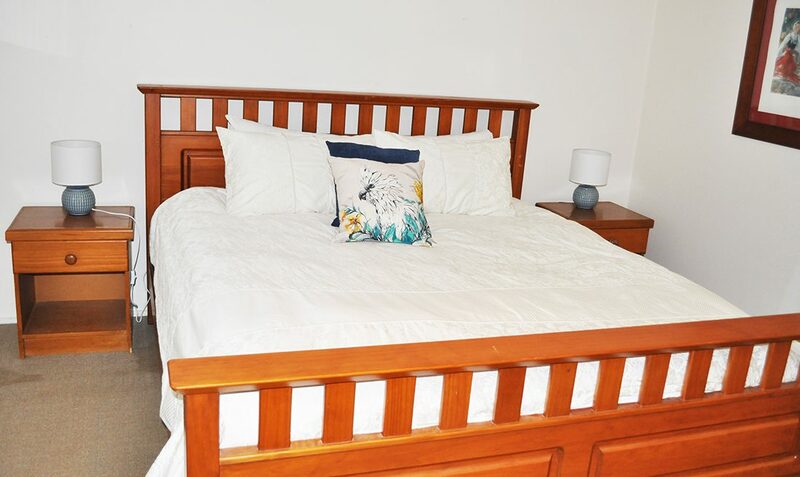 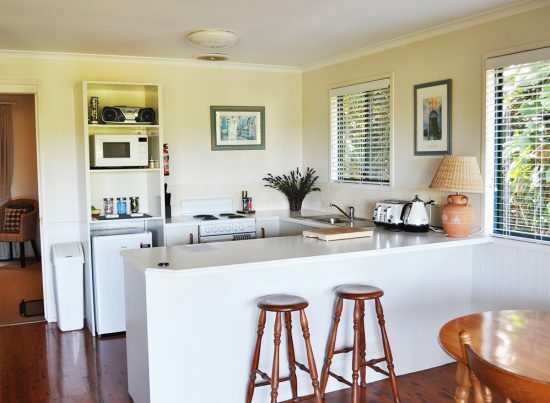 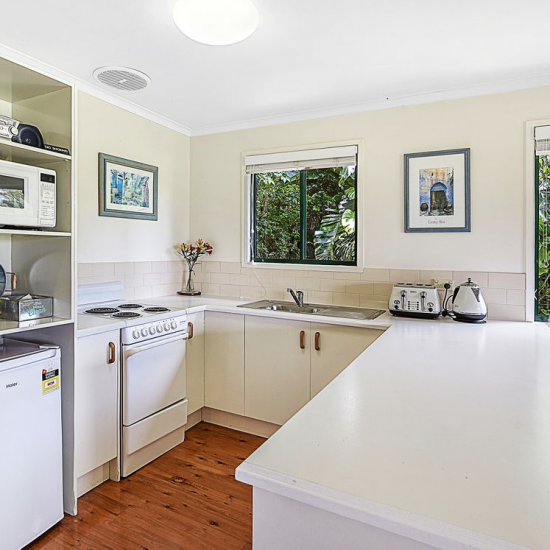 Lorikeet cottage features a large separate bedroom with a queen size bed and an open plan living and kitchen area which open onto a private verandah. 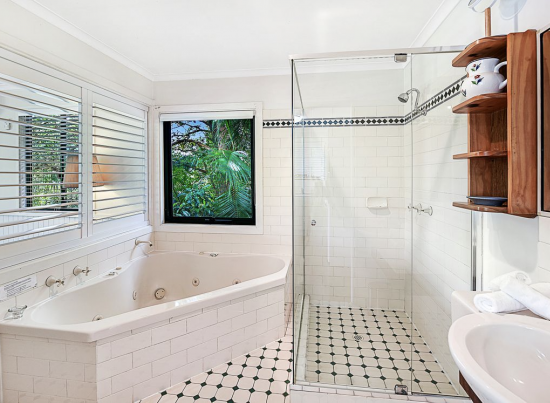 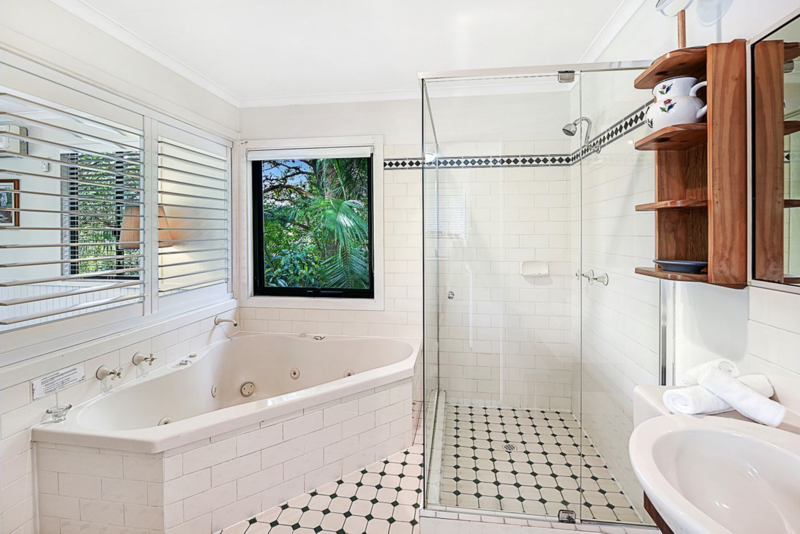 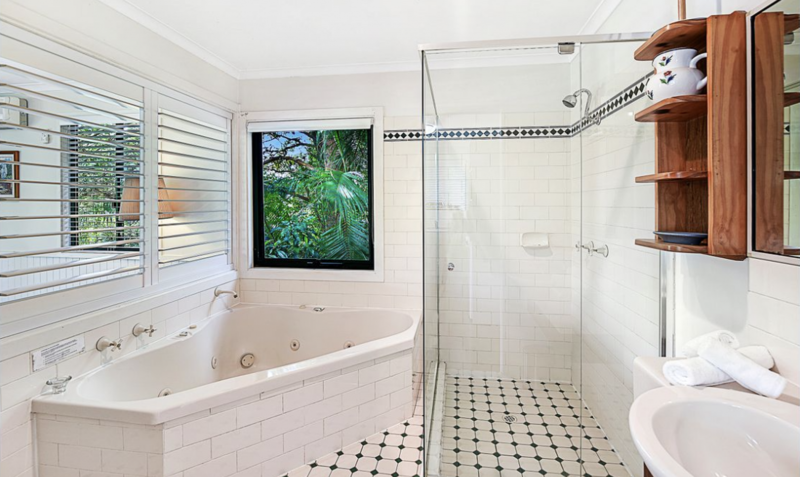 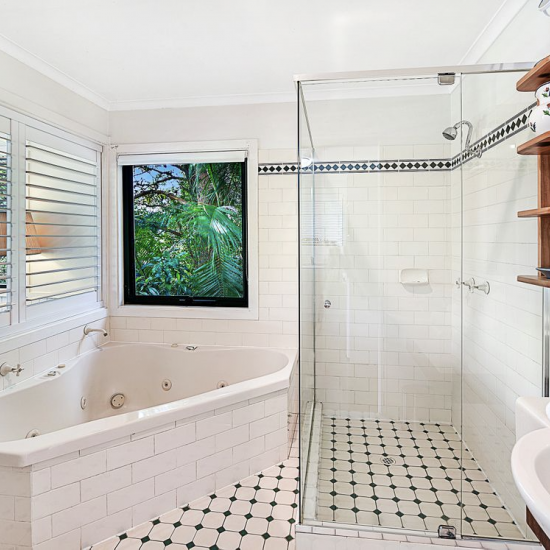 The bathroom has both a large shower and a double spa bath for you to relax in. 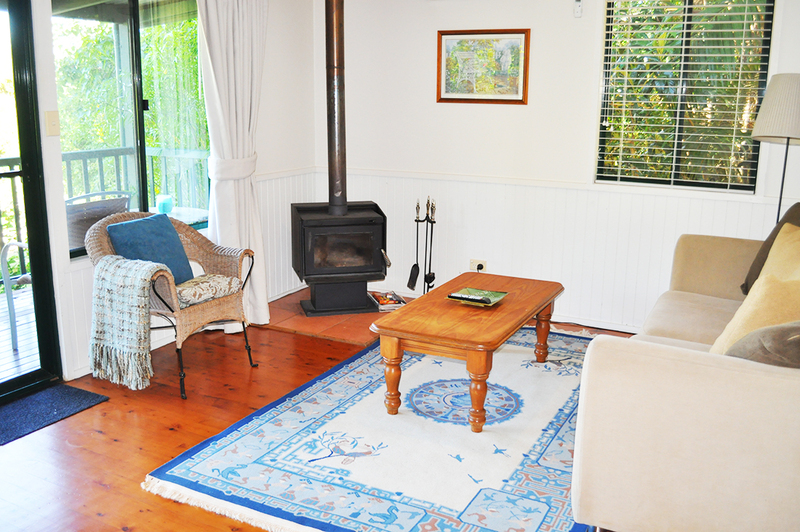 Decorated in tones of blue and cream. 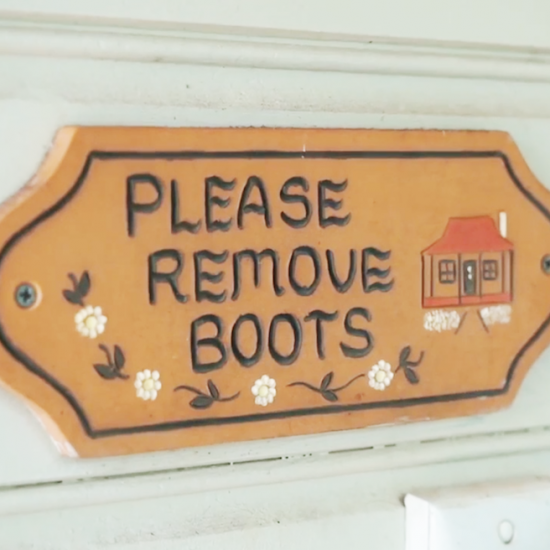 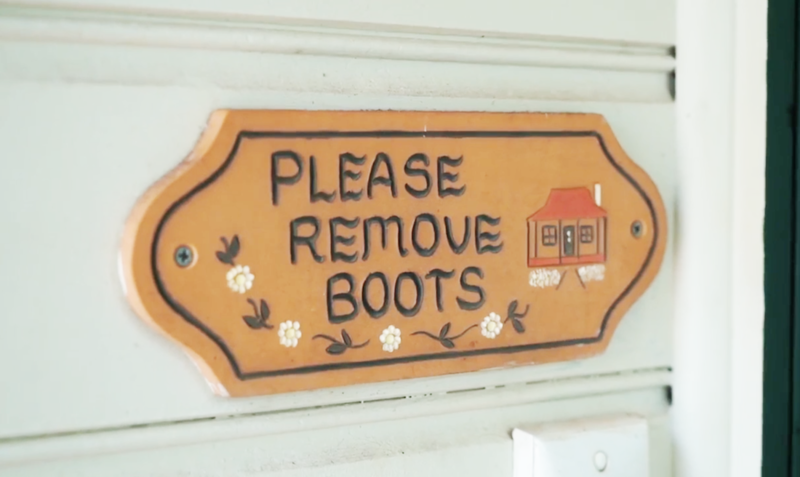 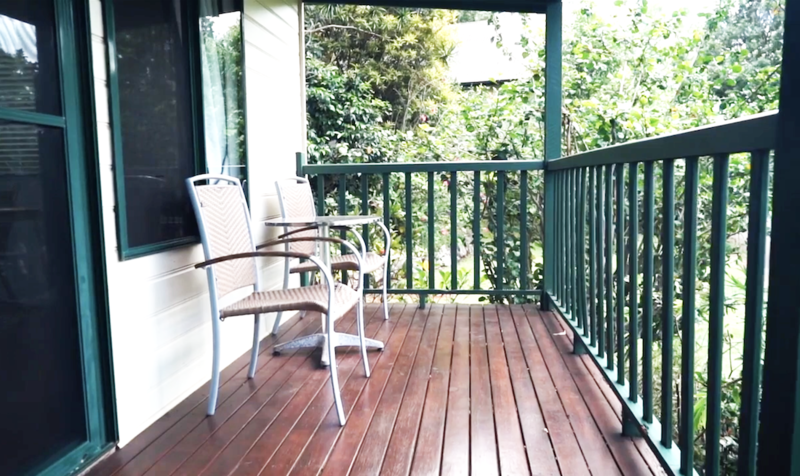 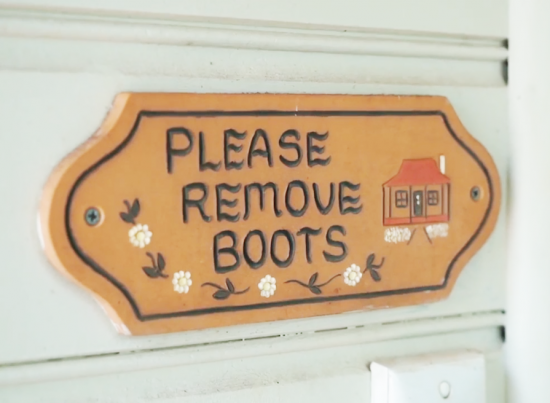 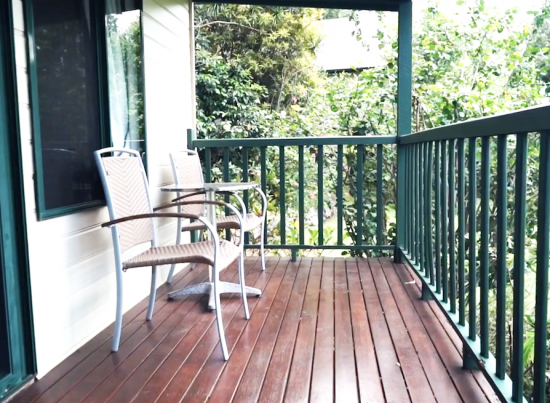 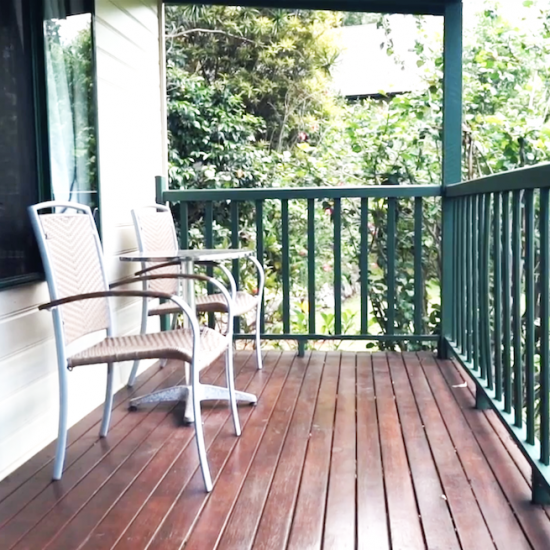 Lorikeet is a special place for a couple to stay.